I have 2 cards to share today using a few super fun products. 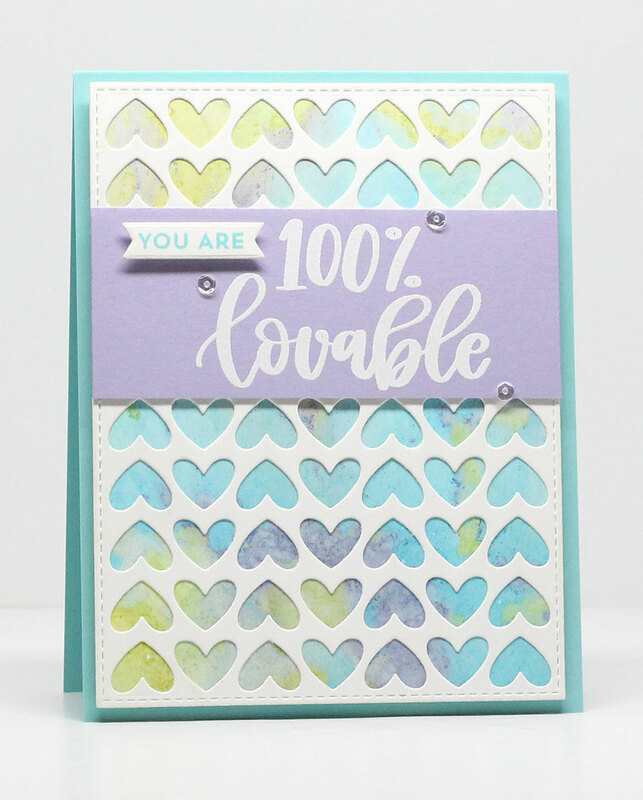 My first card uses the Full of Heart Die-namics, which was cut from an A2 Stitched Rectangle panel. I layered it over a piece of card stock that I dipped in water with alcohol ink on the surface. I stamped and embossed a sentiment and layered it over the heart panel. 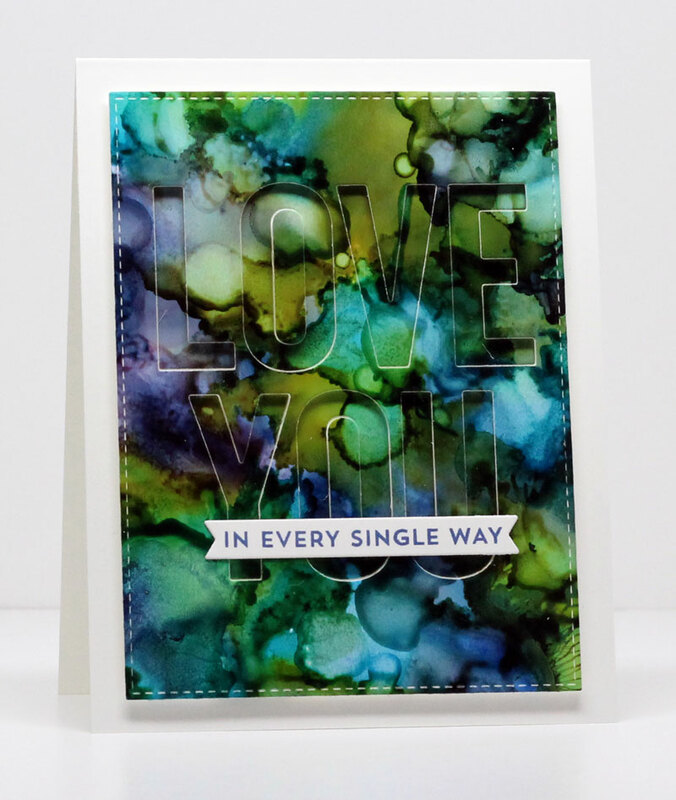 My next card uses Yupo paper and I dripped alcohol ink on it and used the blending solution to move the ink around. I used a reverse camouflage technique where the words are recessed instead of popped up. Be sure to head back over to the MFT Blog to see what the rest of the team has come up with using the Brand-Spankin' New products!